Hailed by the press as one of the best concert pianists in the world, Frederick Hodges is sought after by today’s foremost orchestras, festivals, conductors, and collaborative musicians. His absolute artistry, virtuosity and charisma have brought him to the world’s most renowned stages numerous times, leaving audiences around the globe repeatedly captivated. Mr. Hodges has made regular appearances at major music festivals throughout the US as well as world tours with the Royal Society Jazz Orchestra under the baton of conductor Don Neely. Renowned as a pianist and singer, Frederick Hodges is recognized by audiences around the world for his mastery of diverse repertoire from Rachmaninoff to Gershwin. He has established a reputation as a truly versatile artist equally sought after as soloist, singer, guest soloist with the California Pops Orchestra, and dance band pianist. He has appeared on national television, radio, and in several Hollywood films. He is also a sought-after silent film accompanist for both live performances and on DVD. He performs regularly at the Niles Essanay Silent Film Museum. His extensive repertoire includes the great European classical masters as well as the best American composers such as George Gershwin and Cole Porter. His distinguished discography, primarily on Rivermont Records, Stomp Off, and Aristophone Records, includes piano works by George Gershwin, Cole Porter, Jerome Kern, and Scott Joplin. Frederick Hodges is a native of California, where he began his piano studies at age eight. At thirteen, he began intense classical piano study with two famed San Francisco Bay Area piano teachers who were both graduates of the Juilliard School of Music: Virginia Moore and Trula Whelan. At age seventeen, he won the prestigious Music Teachers of California Young Artist Award. At twenty, while still an undergraduate at the University of California at Berkeley, he joined Don Neely’s Royal Society Jazz Orchestra as pianist. Since then, he has toured extensively. 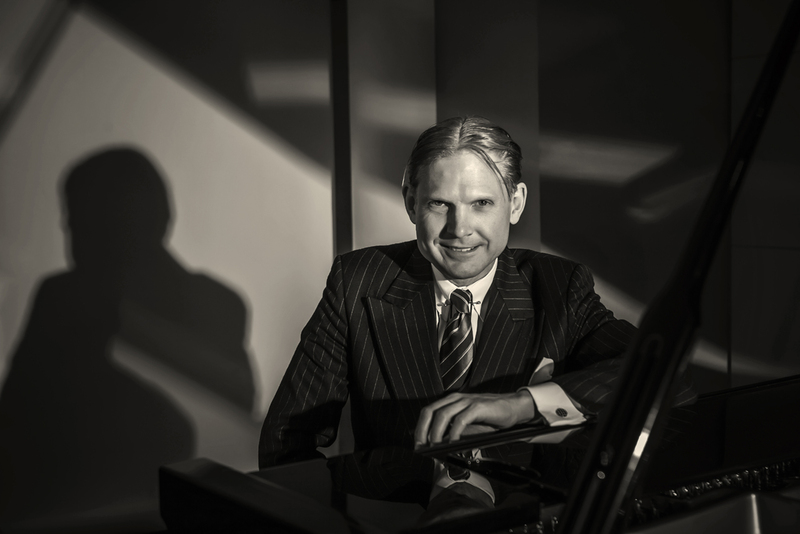 Frederick has enjoyed a career playing solo piano for society parties and holding down steady engagements at legendary San Francisco establishments such as L'Etoile in the Huntington Hotel, Masons in the Fairmont Hotel, and the Ritz Carlton Hotel.